Do you desire high-intensity eyeshadow color in a fun, innovative and dynamic formula? Is achieving the perfect smokey eye or a multidimensional glitter eye look on your New Year’s Resolution list? If so, consider the NEW! Megajelly™ Eyeshadow your first “W” of 2019! This fun-to-use and easy to apply gel texture simplifies the complexity of applying glitter shadows with it’s glide on and set tendencies. The secret here is the infusion of pearl suspension technology that makes this shadow glimmer and glow with multi-dimensional shine and set to a smooth powder-like finish with real staying power! 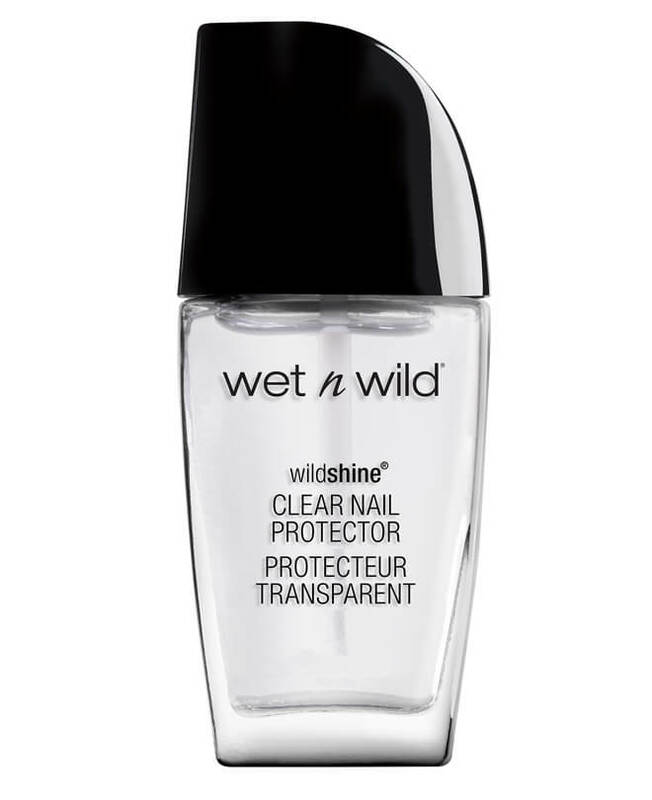 Features a unique high pearl suspension that provides intense multi-dimensional shine and gives the formula an automatic "wet look"
Begin with clean hands and your favorite eyeshadow primer. To apply: Gently tap into the Megajelly™ Eyeshadow pot with your finger or brush. Apply first to the inner corner of your eye and gently swipe the shadow out to create a transparent, shimmer on your lids. For more coverage and an intensified color-payoff, layer until you achieve the color and consistency you desire. Water/Eau, Calcium Aluminum Borosilicate, Propanediol, Ammonium Acryloyldimethyltaurate/VP Copolymer, Propylene Glycol, Silica, Chlorphenesin, Caprylhydroxamic Acid, Sodium Hyaluronate, Dipotassium Glycyrrhizate, Butylene Glycol, Cucumis Sativus (Cucumber) Fruit Extract, Niacinamide, Sorbitol, Chamomilla Recutita (Matricaria) Flower Extract, Caffeine, Tin Oxide, Phospholipids, Phenoxyethanol, Tocopherol, Glycerin, Oligopeptide-68, Hydrogenated Lecithin, Glycine Soja (Soybean) Oil, Sodium Oleate, Disodium EDTA, Iron Oxides/CI 77491, CI 77492, CI 77499, Titanium Dioxide/CI 77891, Mica. Water/Eau, Propanediol, Ammonium Acryloyldimethyltaurate/VP Copolymer, Propylene Glycol, Calcium Titanium Borosilicate, Chlorphenesin, Caprylhydroxamic Acid, Sodium Hyaluronate, Dipotassium Glycyrrhizate, Butylene Glycol, Cucumis Sativus (Cucumber) Fruit Extract, Niacinamide, Sorbitol, Chamomilla Recutita (Matricaria) Flower Extract, Caffeine, Phospholipids, Tin Oxide, Phenoxyethanol, Tocopherol, Glycerin, Oligopeptide-68, Hydrogenated Lecithin, Glycine Soja (Soybean) Oil, Sodium Oleate, Disodium EDTA, Iron Oxides/CI 77491, CI 77492, CI 77499, Titanium Dioxide/CI 77891, Mica. Water/Eau, Synthetic Fluorphlogopite, Calcium Sodium Borosilicate, Propanediol, Ammonium Acryloyldimethyltaurate/VP Copolymer, Propylene Glycol, Chlorphenesin, Caprylhydroxamic Acid, Sodium Hyaluronate, Dipotassium Glycyrrhizate, Butylene Glycol, Cucumis Sativus (Cucumber) Fruit Extract, Niacinamide, Sorbitol, Chamomilla Recutita (Matricaria) Flower Extract, Tin Oxide, Caffeine, Phospholipids, Phenoxyethanol, Tocopherol, Glycerin, Oligopeptide-68, Hydrogenated Lecithin, Glycine Soja (Soybean) Oil, Sodium Oleate, Disodium EDTA, Iron Oxides/CI 77491, CI 77492, CI 77499, Titanium Dioxide/CI 77891, Mica. Water/Eau, Propanediol, Ammonium Acryloyldimethyltaurate/VP Copolymer, Propylene Glycol, Chlorphenesin, Caprylhydroxamic Acid, Sodium Hyaluronate, Dipotassium Glycyrrhizate, Butylene Glycol, Cucumis Sativus (Cucumber) Fruit Extract, Niacinamide, Sorbitol, Chamomilla Recutita (Matricaria) Flower Extract, Caffeine, Phospholipids, Phenoxyethanol, Tocopherol, Glycerin, Oligopeptide-68, Hydrogenated Lecithin, Glycine Soja (Soybean) Oil, Sodium Oleate, Disodium EDTA, Iron Oxides/CI 77491, CI 77492, CI 77499, Titanium Dioxide/CI 77891, Mica. Water/Eau, Propanediol, Ammonium Acryloyldimethyltaurate/VP Copolymer, Propylene Glycol, Chlorphenesin, Caprylhydroxamic Acid, Sodium Hyaluronate, Dipotassium Glycyrrhizate, Calcium Aluminum Borosilicate, Butylene Glycol, Cucumis Sativus (Cucumber) Fruit Extract, Niacinamide, Sorbitol, Chamomilla Recutita (Matricaria) Flower Extract, Caffeine, Silica, Phospholipids, Phenoxyethanol, Tin Oxide, Tocopherol, Glycerin, Oligopeptide-68, Hydrogenated Lecithin, Glycine Soja (Soybean) Oil, Sodium Oleate, Disodium EDTA, Iron Oxides/CI 77491, CI 77492, CI 77499, Titanium Dioxide/CI 77891, Mica. Water/Eau, Calcium Sodium Borosilicate, Propanediol, Silica, Ammonium Acryloyldimethyltaurate/VP Copolymer, Calcium Titanium Borosilicate, Propylene Glycol, Chlorphenesin, Caprylhydroxamic Acid, Sodium Hyaluronate, Dipotassium Glycyrrhizate, Butylene Glycol, Tin Oxide, Cucumis Sativus (Cucumber) Fruit Extract, Niacinamide, Sorbitol, Chamomilla Recutita (Matricaria) Flower Extract, Caffeine, Phospholipids, Phenoxyethanol, Tocopherol, Glycerin, Oligopeptide-68, Hydrogenated Lecithin, Glycine Soja (Soybean) Oil, Sodium Oleate, Disodium EDTA, Iron Oxides/CI 77491, CI 77492, CI 77499, Titanium Dioxide/CI 77891, Mica, Ferric Ferrocyanide/CI 77510. Water/Eau, Calcium Titanium Borosilicate, Propanediol, Ammonium Acryloyldimethyltaurate/VP Copolymer, Silica, Propylene Glycol, Calcium Aluminum Borosilicate, Chlorphenesin, Caprylhydroxamic Acid, Sodium Hyaluronate, Dipotassium Glycyrrhizate, Butylene Glycol, Tin Oxide, Cucumis Sativus (Cucumber) Fruit Extract, Niacinamide, Sorbitol, Chamomilla Recutita (Matricaria) Flower Extract, Caffeine, Phospholipids, Phenoxyethanol, Tocopherol, Glycerin, Oligopeptide-68, Hydrogenated Lecithin, Glycine Soja (Soybean) Oil, Sodium Oleate, Disodium EDTA, Iron Oxides/CI 77491, CI 77492, CI 77499, Titanium Dioxide/CI 77891, Mica, Ferric Ferrocyanide/CI 77510.